PFLITSCH trunking working machines and tools facilitate processing and realisation of individual routeings. 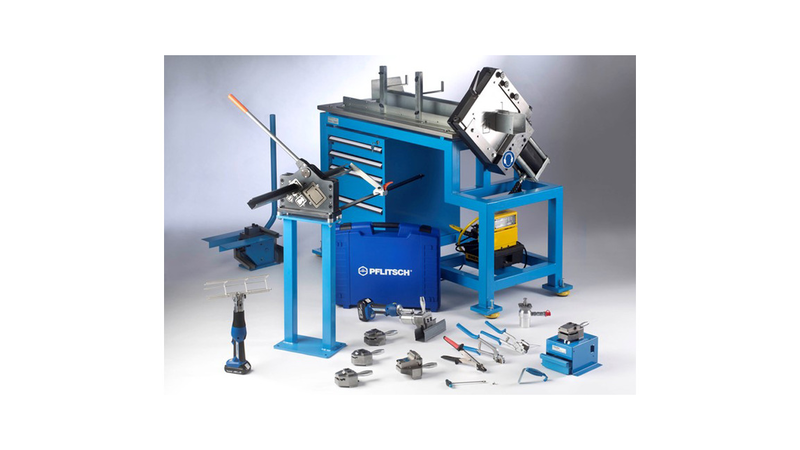 Hydraulically or manually operated shearing and stamping tools, which save time and guarantee professional results, are included in the range. Work on the trunking can be carried out directly at the place of installation with the low-noise and mobile machines. Precise trimming, production of lateral openings or perforation can be executed quickly and exactly, minimising scrap, ensuring a convenient work environment as well as noise reduction.